After 38 years in the community association management business, CCMC is often asked what makes some neighborhoods so successful. In times like these, we hear it even more. No matter what the market conditions, our answer is always the same: boards that serve. 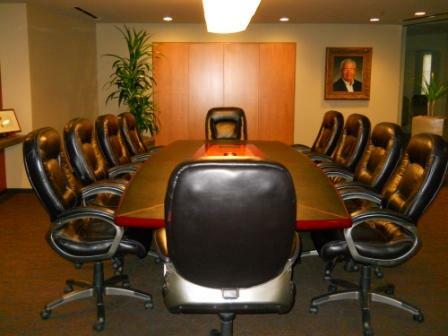 Each year, CCMC works with hundreds of boards of directors. The mix of people on these boards varies greatly. Some are homeowner volunteers, others are developer representatives. Some are new to the board, while others have served for years. Regardless, all are required to act as a fiduciary, putting community interests ahead of personal agendas. All are expected to act in good faith, be fair in all dealings and be loyal to the community they serve. Inevitably, the most effective boards are tied to the most successful communities. So what sets them apart? It’s not excess funds or executive experience. It’s not legal expertise or financial genius. It is simply a conscious philosophy to “serve at the pleasure” – rather than “govern over” – the membership. That’s it! Serve first. Coincidentally, it’s what we do at CCMC, too. Now don’t get me wrong, effective covenant enforcement is an important part of any well-run association. Boards that govern see this as their primary responsibility. Boards that serve see it as one chapter of a much larger book of responsibility to the community.